Though this ‘tough’ camera is built to handle a reasonable fall and even survive comfortably underwater, its glass lens housing shattered on impact. 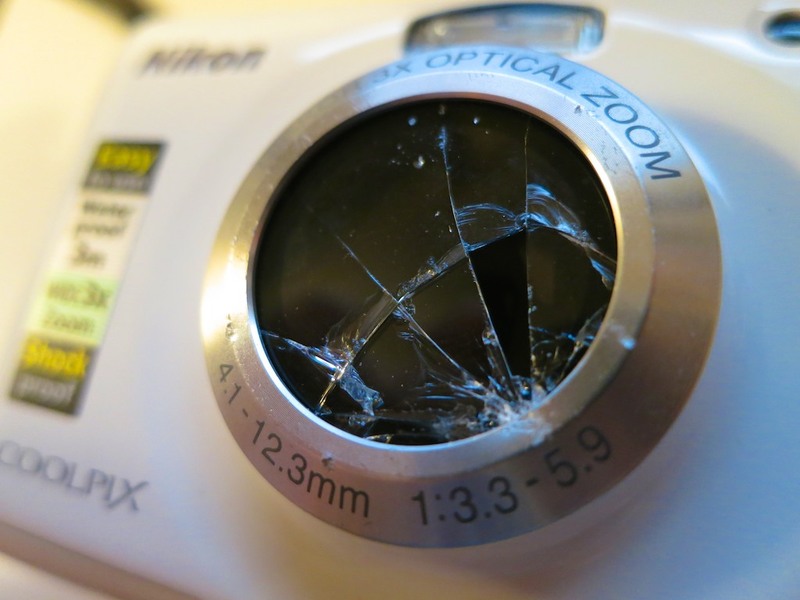 Yes, the interior lens was still intact, but there were shards of glass everywhere. As ‘Junior’ and I stood over his fallen tech, I declared it a goner. A horrible moan befitting a small Klingon clan permeated our neighborhood, and then he shuffled upstairs. …The S30 was priced on Amazon to move…$70! Plus, this Nikon was the real deal. The pictures were barely average. There was a dead pixel in the middle of the sensor. The audio from its recorded videos sounds like an empty Campbell’s Soup can and string was used instead of an onboard microphone. But my son figured out how to use it in about 10 minutes. You might be asking right about now what I was expecting out of a $70 camera when the other point and shoot cameras I own cost at least twice as much. The irony is even though it was a terrible camera… it was perfect for my son. But I thought back to one of my own childhood stories, when I was a few years older than my son. I desperately wanted an audio cassette recorder, and my parents didn’t think I would remain interested in this adult tech beyond a few days. I pleaded for weeks, and eventually my mother softened. In hindsight, it was the most important gift I ever received as a child. If, for some reason, you wanted to change the path of my entire life, all you’d have to do is jump into your time machine, go to February 1970, and make sure I never received that Sound Design cassette recorder. So I decided to get my little guy another camera for the holidays. Today’s market for a cheap, durable camera is well… almost non-existent. 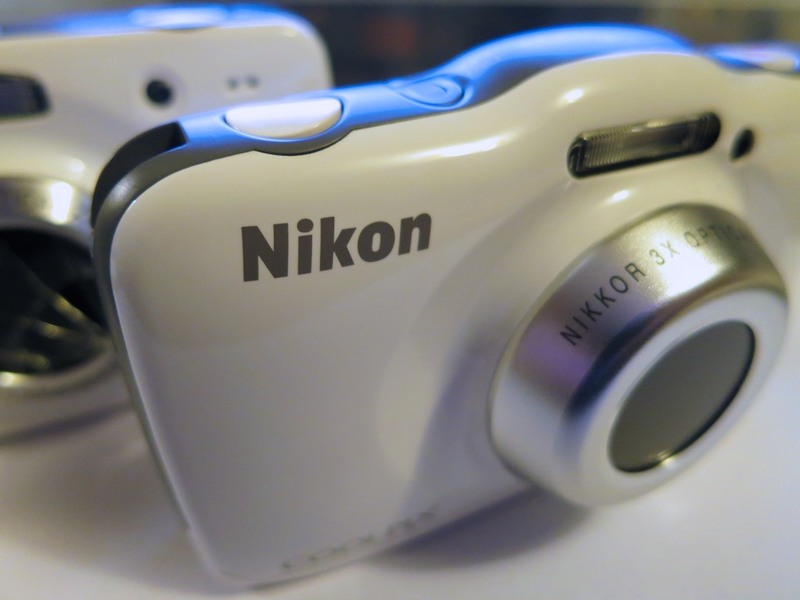 In the sub $100 range, I think Nikon still is it with the COOLPIX S32. which you can get on Amazon for $125. Even though it looks to be a better camera than the S32, spec wise, it’s got really small buttons and a different interface, which might not be as child-friendly. It wasn’t a slam-dunk as the better choice, and it also broke my $100 rule. So ultimately, I sided with the devil I knew vs. the devil I didn’t. And the S32 is two generations better than the S30. That should count for something. Grandson of the COOLPIX S30… the S32! So I bought the Nikon COOLPIX S32 at Target on Black Friday for $99.99. It should work well enough; my son will know how to use the S32, and it’s even the same color as his first one. He will be exceptionally happy. The S32 might even prove itself to be a big improvement over its not-so-distant ancestor. The jury is still out for me, though according to Snapsort.com, the S32 has clear improvements. 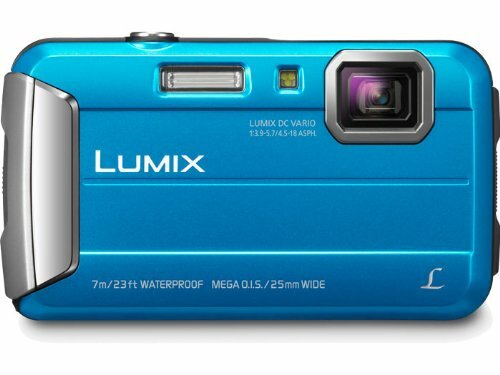 Competition for the future COOLPIX S33? Where are the rest of the choices? What ever happened to good old fashioned capitalistic competition?! And no, I’m not going to follow the rest of the herd and buy my lad a toy camera. I don’t think anybody who’s bought one has ever been a happy customer. Junior will be turning five in half a year. So will 3,999,385 other four year olds. Please come up with a decent, tough camera at the right price that they all can use. Because I’ll probably be needing to secure another one for my son’s next birthday!